Kuba Fietkiewicz here, founder of REIkit.com flip, wholesale and rehab estimation software in Los Angeles. Today I wanted to talk about how you can estimate your rehab costs without a GC. If you're a property flipper, you may have already tried to find an investor-friendly GC that would walk through 30+ properties with you to price out repairs, but it's not likely that you'll find one that will work for free. You are left with few options, the best of which is learning how to price out your own repairs. Yes, it requires more time and effort, but the education you acquire and eventual savings will more than make up for that. So, what's the best way to get this experience? In my own fix and flips, I evaluate as many properties as I can find, and when I go to visit a potential flip, I take along my camera phone and film a walk through of each room and the exterior, carefully narrating what needs repairing. Then comes the difficult part: identifying all the items involved with a repair, itemizing all of these costs into one tidy list, and calculating the final cost. For example, a window repair not only includes the cost of the actual window but also the labor that it costs to install it. I created the Rehab Estimate tool to help take the unknown out of getting an accurate estimate. Not only does the tool have thousands of items to choose from, but each item has a material cost and labor cost associated to it, with all costs based on your zip code, so you get the most accurate estimate. From there it creates an itemized list for you to share with contractors for project bids. 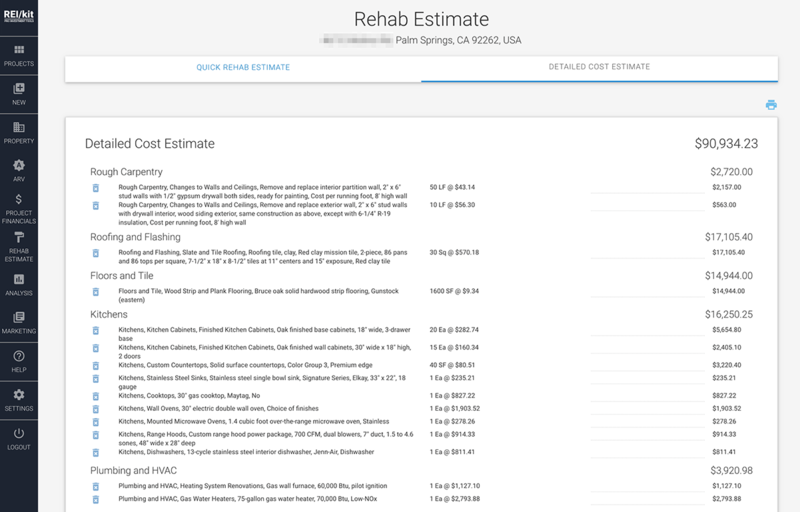 The Rehab Estimate tool is as close as you'll get to accurate rehab costs, without a GC. Any questions or suggestions, I'd love to hear it; comment below or chat at the site.